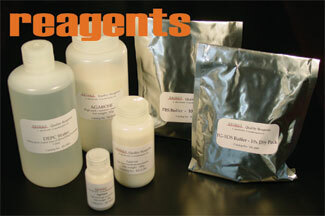 High Desert Bioscience offers a line of quality reagents for molecular biology research. You will find all the features that you demand for usability, performance, reliability and economy now available from HDB. Try these supplies for safe, convenient and economical ethidium handling.